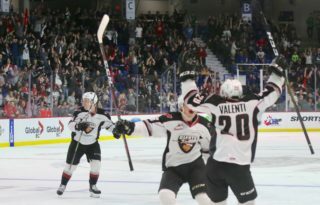 The Vancouver Giants are off to Round 2 of the Western Hockey League playoffs! 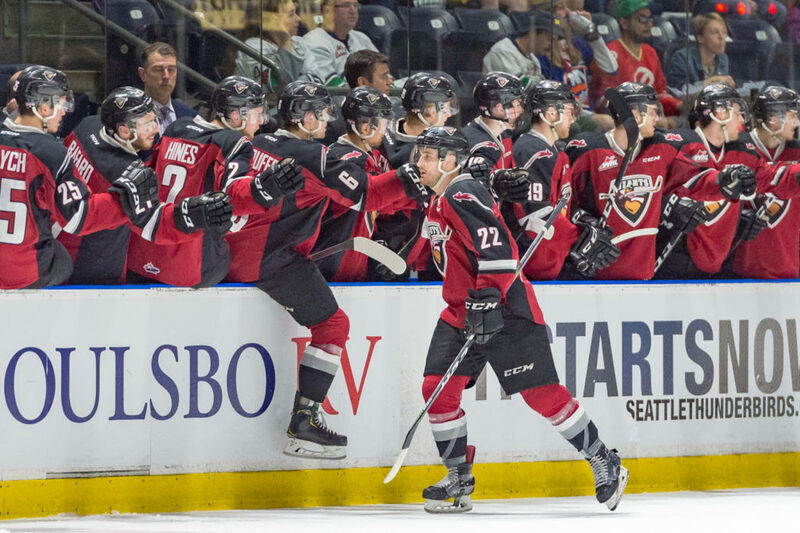 Saturday night at the ShoWare Center in Kent, WA the Giants earned a 5-1 victory over the Seattle Thunderbirds, earning a 4-2 series victory in the process. 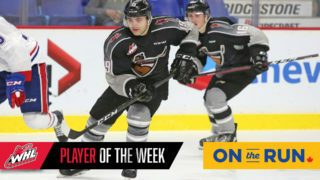 Jadon Joseph scored twice for Vancouver while Davis Koch added three assists. 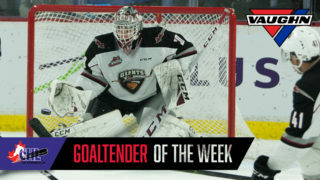 David Tendeck stopped 33 of the 34 shots he faced between the pipes for the G-Men to earn his second victory of the series. Seattle’s lone goal came late in the third period off the stick of Andrej Kukuca. Tristen Nielsen took a penalty shot at 16:03 of the second period for the Giants. Roddy Ross stopped him with the left pad. Next Giants Game: Friday, April 5th at 7:30 PM against either Kamloops/Victoria. Jadon Joseph scored at least once in five of the six games in Round 1. His six goals are tops among all WHL skaters so far in the post-season. 10 of the Giants 25 goals in Round 1 came courtesy of defencemen. Dylan Plouffe had four, Bowen Byram had three, Dallas Hines had two and Alex Kannok Leipert had one. Between the pipes, David Tendeck and Trent Miner finished Round 1 with identical 2-1 records. All three of David Tendeck’s starts came on the road, while Trent Miner started all three games at the LEC. The Vancouver Giants will face either the Kamloops Blazers or the Victoria Royals in the second round. 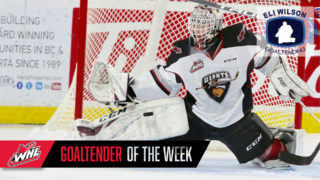 The Giants were 8-0 against Kamloops during the regular season and were 6-2-1-1 against Victoria.